Is it really surprising that the most controversial… Batman casting might also direct his own film? Not at all. In fact, when Warner Bros signed on Ben Affleck to play Batman they probably did so with the idea of him directing one of their films. There’s also a chance they wouldn’t have got him, without giving him the option to direct his own film. And why not? He has proven as a director to be great in each of his last three films (Gone Baby Gone, The Town, Argo). He’s 3 for 3 as a director. At the time of his casting, the possibility of Affleck directing Justice League was possible, that is until Zack Snyder was later announced to direct both Part 1 & 2. In my mind, that leaves only one logical choice for the director… The Batman. 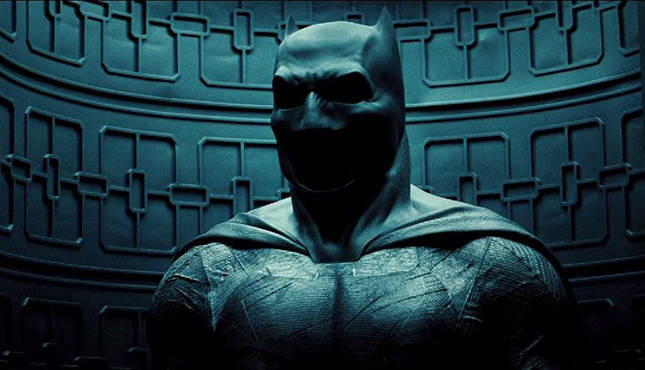 According to Latino Review (who is dishing out DC rumors like hotcakes), Affleck will in fact direct his own Batman film, which they’re calling The Batman. Furthermore, Affleck’s go-to writer and Oscar winner Chris Terrio is expected to pen the script for the film. Terrio stepped in to do re-writes for Batman V Superman from an original draft by David S. Goyer (Man of Steel). Like I kind of stated above, this wouldn’t be a surprise if true. I do like the combination of the two for a Batman film, and I agree with a certain editor who said “Terrio understands character and suspense“. Latino Review’s report is also claiming that WB is looking at November 2018 for a release date, giving Affleck time to finish off other projects. Whether this is all true or not, we’ll have to wait and see at Comic Con next month. For now its just a rumor, a very likely to happen rumor. ‘Rumor Central: Chris Pine as Hal Jordan?